I’m part of the ‘avocado on toast generation’ so of course I had to go for brunch when I visited Copenhagen early this year. 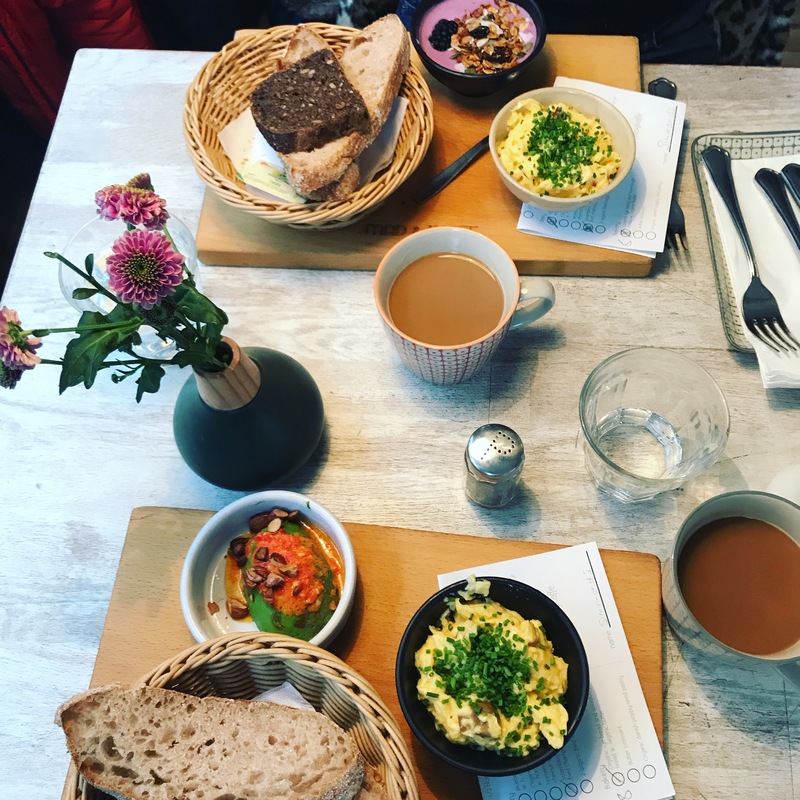 I’d read about Mad & Kaffe and its brunches while doing some food research for my trip because it was recommended by a few Danish bloggers and I’m happy to say that this little cafe in the cities trendy Vesterbro district didn’t disappoint. Mad & Kaffe have three restaurants in Copenhagen located in the Vesterbro, Amagerbro and Frederiksberg areas. I went to the one in Vesterbo, the city’s meatpacking district. The address is Sonder Blvd. 68, 1720. I’m not a big fan of winter but Mad & Kaffe is the kind of place that makes me appreciate the colder months. Although we almost got hypothermia queuing to get in, once we did the cafes homely atmosphere was the perfect respite from the bitter cold. It’s decor is clean but not sterile, homely but not shabby, bright but not imposing and loud enough that don’t feel awkward to talk but you can still happily hold a conversation. If you’re looking for somewhere authentically Danish yet modern then this is the perfect place to go for food. Being a little bit outside of the centre, we were pretty much the only tourists there and everything about the cafe celebrates what it is to be Danish, from its simplistic modern decor to its food selection. Mad & Kaffe’s menu keeps in simple, focusing on local, organic and wholesome food. I really loved the brunch concept where you mix and match your own food by selecting small plates from different categories on the menu like bakery, dairy, meat and fish. You can choose to have three, five or seven small dishes plus a range of drinks meaning that it’s ideal for every dietary requirement and varying levels of hunger. I went for the buttery eggs with chives, sourdough bread and chilli avocado which were all fantastic. Prices are high, (brunch options for three, five and seven dishes cost around £10, £15, £18) however these are fairly average prices for the city.